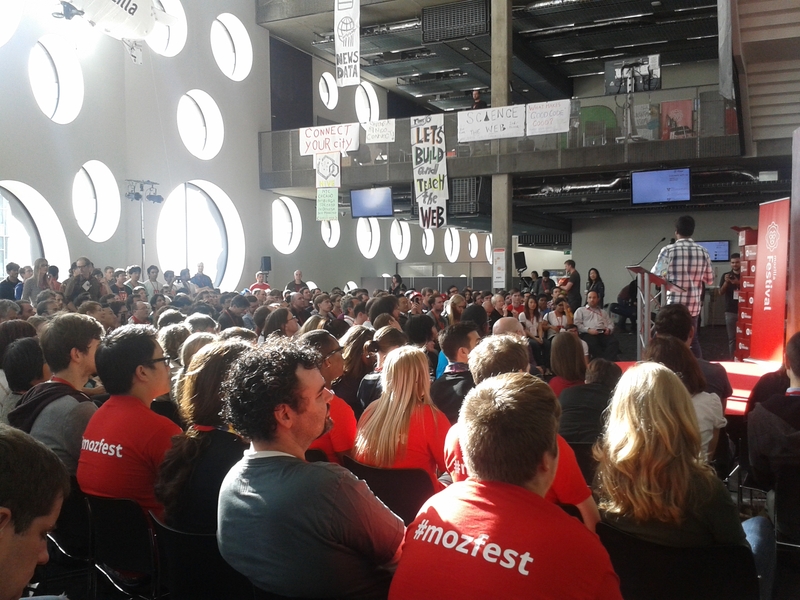 For those who don’t know, the Mozilla Festival is an annual festival based in London where programmers, inventors, journalists, and general tech luvvies come from around the world to learn how to innovate and champion a user-built web. However, perhaps what I took away most from the event though was how tools I often think of from a journalist’s perspective can be opened up and made more accessible to the wider public. There was one session entitled ‘Government Data for human beings’ where we were asked to consider the questions people would ask a website filled with data from FoI investigations – the idea that they could put a question in like ‘What are the top 10 highest funded charities?’ and get an answer from all the data without having to delve through tens of thousands of Excel spreadsheets themselves. It’s a cool idea for a public information website but I don’t really know how much information a user would gain from it that they couldn’t already get from Google if all the FoI information has already been published. It was a session more geared towards programmers, which was the one frustration of Mozfest for me as there were so many workshops I would have gained more out of if I knew anything about programming. One of these was ‘Failure in the Newsroom’, a talk led by the chief-engineer of Obama’s 2012 campaign team, and discussing how newsrooms must prepare for situations when their site goes down – either due to a sudden influx in traffic, or something more sinister like when the New York Times was hacked. It was a fascinating discussion that ended when we broke into groups to discuss four different situations where a news site may go down. We were discussing what to do when a DNS server (or something similar) goes down. My group was heavily dominated by programmers, which meant we got a great perspective on how to fix the problem, but not one in layman’s English. Also, when myself and the two other journalists in the group tried to discuss how best to communicate to your site’s users that that site had gone down (e.g. over social media) it seemed our suggestions fell on deaf ears. For the few frustrations I experienced though, the festival was fantastic overall, and my favourite session of the festival had to be ‘Building Peer to Peer social networks for Disaster Relief’ where Cambridge academic Richard Dent took us through his plans for building a simple social network for people to use in disasters like Hurricane Sandy where relief work went on for some time. Users would be able to rate their messages by urgency – from mild to life threatening – providing a sort of “digital triage”, a system the American Red Cross is already using, and users would each have an approval rating to measure others’ trustworthiness – kind of like eBay feedback! Like with most of the workshops at Mozfest, we were asked for our opinions on how the project could be developed and what problems might lie ahead. Personally, I think the idea of a disaster peer-to-peer network is fantastic in theory, but I can’t get past how it would work in an area with virtually no internet signal, and where not everyone may be digitally savvy. There was talk of making it an app that would work on low battery, and how it’s aimed towards what digital awareness will be in the future. I suggested it should be expanded so people could post messages via an automatic text service, so that people without access to the internet, or who are just less digitally aware could still participate. 2. People are more likely to share emotive content than comment on it – happiness, disgust and interest are the three most important emotions to engage with in an article to get the user to share it. 3. Image based shares make a big difference – people are more likely to view something with a photo and SIZE MATTERS. One column on Facebook is better than a thumbnail, and a two column image (one that stretches across a whole Facebook page like the cover photo) is better than a one column image. 4. Controversial stories get more comments than shares – although people don’t ‘like’ negative stories. 5. Messages that fall under cognitive ease are more likely to be believed than those that fall under cognitive strain. This entry was posted in Industry events and tagged journalism, mozfest, mozilla festival, mozilla firefox. Bookmark the permalink.